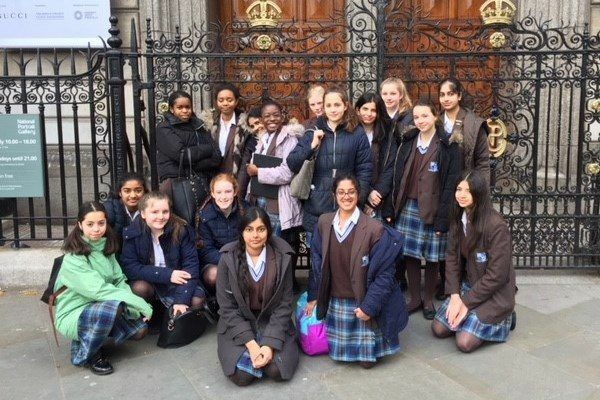 This week Year 10 Art pupils and a selection of KS3 gifted, talented and aspirational Art pupils spent the day at The National Portrait Gallery in London. They started their day with a guided tour called ‘Think like an Artist’, where pupils were able to share ideas, opinions and observations on a range of Portraiture from Tudor times to current day. The wealth of knowledge and passion from our guide sparked an enormous interest and enthusiasm with the pupils. The afternoon session was dedicated to selecting paintings to study and draw. The day was highly successful and will be a great benefit to our aspiring Art pupils. Well done to all.